Downstream from Hoover Dam, Black Canyon is an ideal place to explore the Colorado River as it passes through some of the most unique terrain on earth. 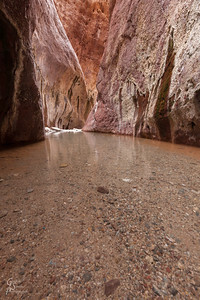 Slot canyons that have flowing hot springs with soaking pools make this spectacular canyon so special. Travelling here is best in canoe or kayak, though some day hikers do visit. 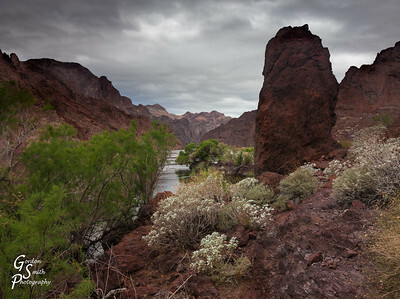 Undiscovered by landscape photographers, Black Canyon has wonderful potential. 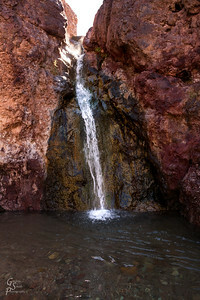 Palm Spring Waterfall is a hot spring that forms a shower right in a shallow part of the Colorado River. Great place to stop and rinse in warm water. 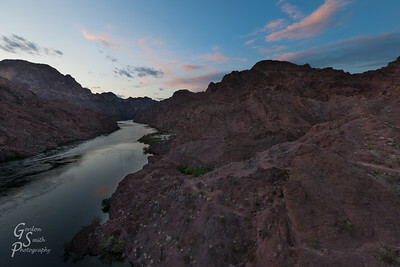 Triangles: this view greeted me as I visited Palm Spring along the Colorado River. The rising sun made this a situation where I had to shoot fast or the shape created by light and shadow would vanish. 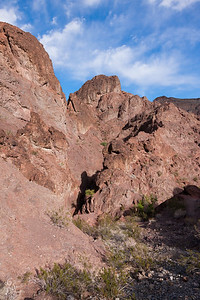 Arizona Hot Spring Slot Canyon: one must travel up this shadowy canyon to visit the hot spring. 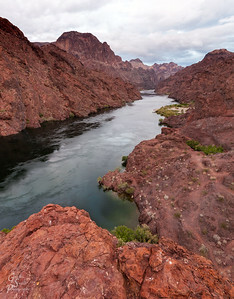 This shot is taken from above the trail before hiking down into the slot. Black Canyon Sunset with a hint of the stormy weather that came the following day. The pink clouds and calm waters belie the future. Green Cactus, Black Canyon taken at dusk. Volcanic Soil with last year's growth and this year's new life all shown together. 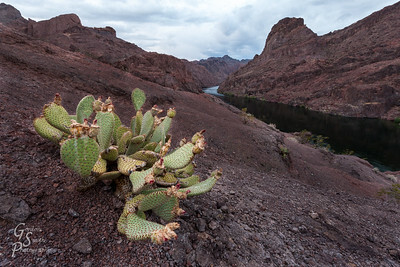 April 2016: Cactus and Colorado River as seen on the Arizona shore of Black Canyon. 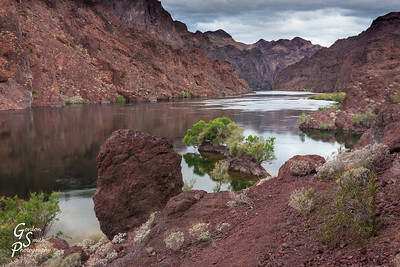 Black Canyon Overlook on an overcast day. 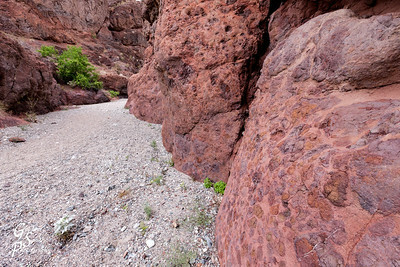 The amazing volcanic rock possesses red, purle, black and brown colors. The lighting changes bring out various colors. 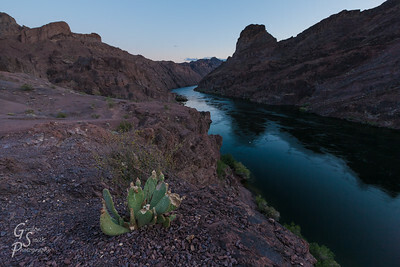 The green Colorado River below is beautiful, just gorgeous. Dark Red Canyon with harsh volcanic rock and a few cacti here and there. The conditions could not be more beautiful and harsh. 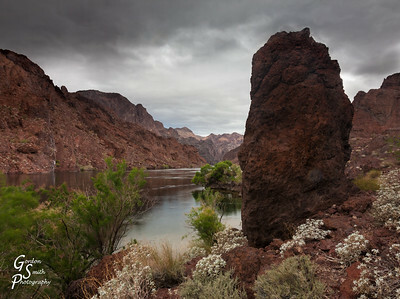 Island and Storm: This rock island stand in the Colorado River's Black Canyon. The amazing surrounding mountains are jagged and sharp. A storm passes over this remote world. 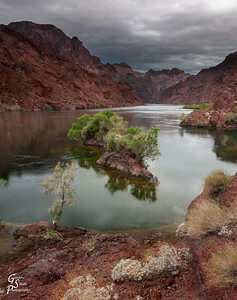 Island in the River: Placid Colorado River with rocky island and vegetation. 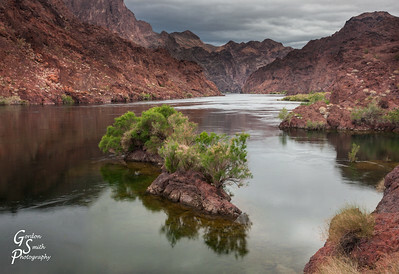 Black Beauty: Colorado River's Black Canyon is a beautiful sight indeed. Smooth deep waters carve through the sharp volcanic rock canyon. 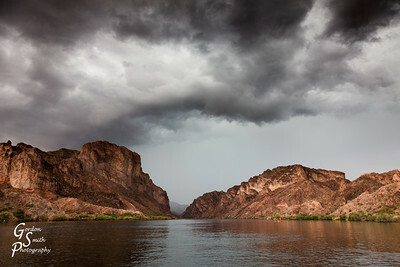 Black Storm Approaching: Dark clouds hover above Black Canyon which is the border between Nevada and Arizona. 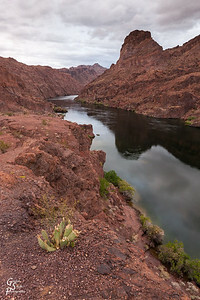 Black Canyon Waters: I took this pictures on a stormy overcast morning on a canoe trip through this amazing scenic location. 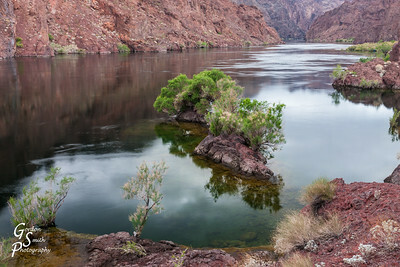 Black Canyon is a hidden beauty! 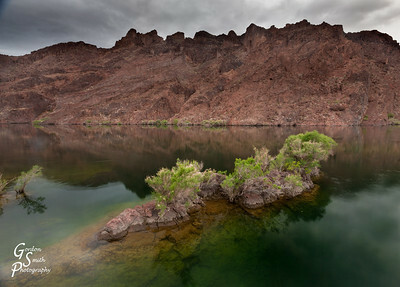 Rocky Island Submerged: a rough, green and amber island stands mostly submerged in Black Canyon of the Colorado River. 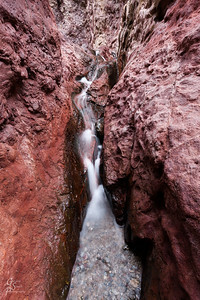 Arizona Hot Springs Slot Canyon: Hiking up this warm slot canyon to the hot springs is a delight. 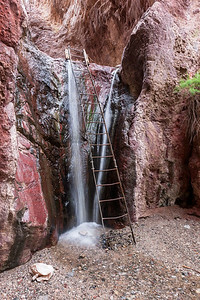 Arizona Hot Springs Ladder: one of the most scenic and tall ladders in the slot canyons of the southwest. 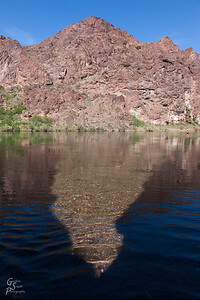 Arizona Hot Springs Clear Waters make a warm bathe absolutely delightful. It's even better with a friend or in solitude. Black Canyon Hiking above the hot springs. 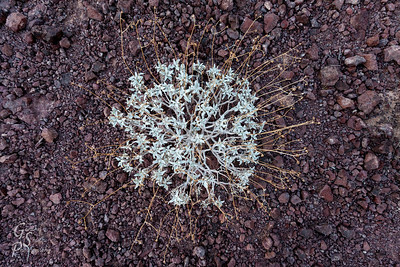 The volcanic rock is a conglomeration of many other colors and textures of rock. 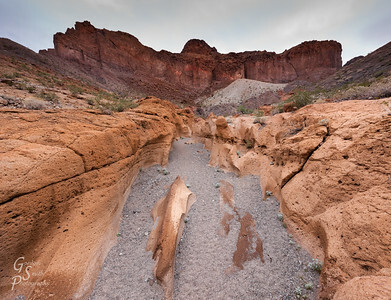 Black Canyon Temple Butte: Hiking up from Arizona Hot Springs, you encounter this amazing butte with its' golden red colors. The sandy brown lower rock layer makes a nice contrast to the red butte. Arizona Hot Springs Panorama showing the hottest highest pool on the left, the medium pool in the center and the warm pool on the right and downstream from the other two. 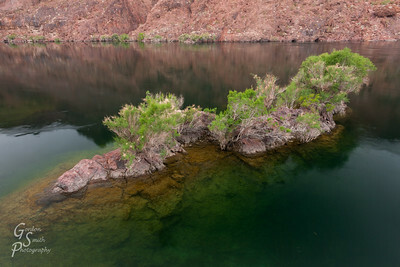 Emerald Cave of Black Canyon: The green water is clear because the Hoover Dam captures all the silt. The water's color is mesmerizingly gorgeous. 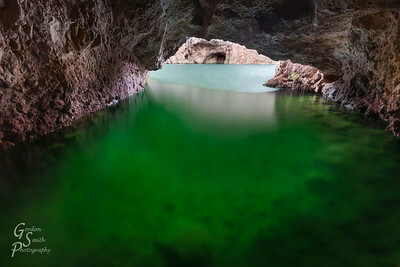 This cave can only be reached by small watercraft (canoe, kayak). What a great adventure. 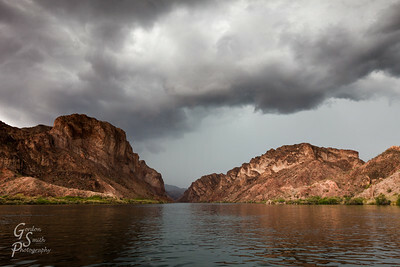 Black Canyon Black Storm Clouds: coming out of Black Canyon on canoe just before the storm got really bad! Entering Black Canyon from Willow Springs.